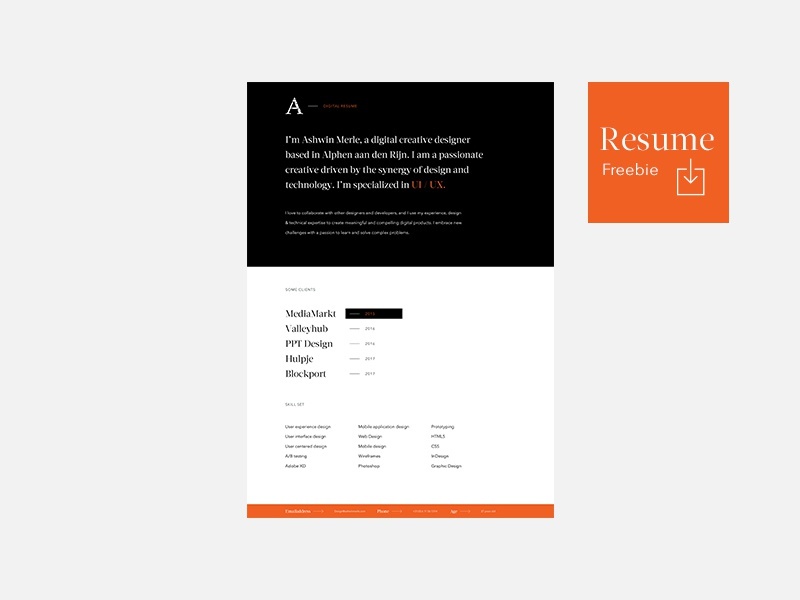 Resume freebie for personal and commercial use is a free Template design resource made by Dribbble user Ashwin Merle. As far as I can tell, its license is Free for Commercial and Personal Purposes. Freebie! “Boxify” HTML5/CSS3 Template for Codrops!